Together these 4 sites can be the skeleton for a tour of the Old City. Because these sites are under one authority there is a combination ticket that gives you entry to all 4 sites. The current price is 55NIS whereas it would cost 72NIS if you bought them individually (a saving of 24%) and the ticket is valid for 3 days. The walls around the Old City were built in 1540 by the Turkish Sultan Suleiman and it is possible to walk on the top of two sections of these walls: 1) from Jaffa Gate around the Christian and Muslim Quarters all the way to Lions Gate (though I would recommend descending at Damascus Gate) and 2) across from Jaffa Gate by the Tower of David Museum around the Armenian and Jewish quarters to Dung Gate. It’s important when exploring the Old City to go up onto the walls or roofs to get an overview of the city, something you can’t do from the ground. Looking outside the walls lets you see the institutions that were built in the late 1800s by the various European powers as the Ottoman Empire became the sick man on the Bosphorus. 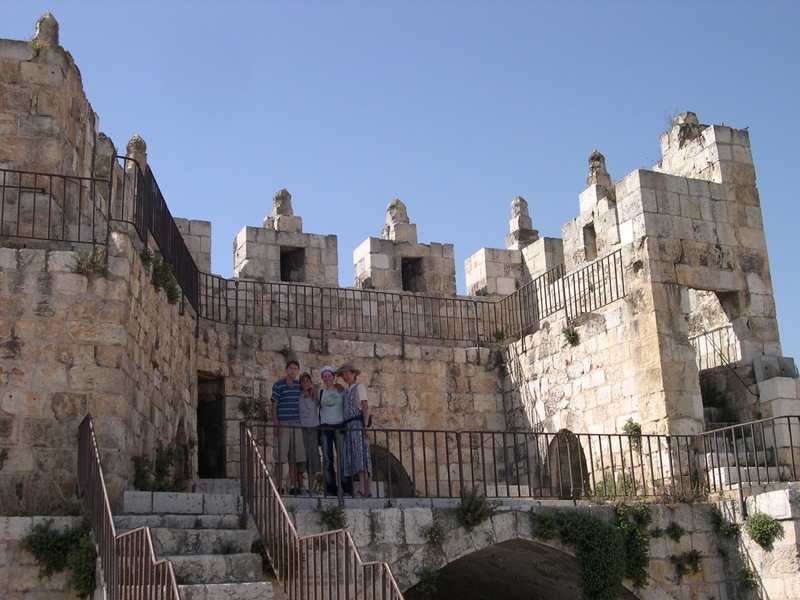 At Damascus Gate you descend back in time to 135CE to the Roman Emperor Hadrian who crushed the Bar Kochba Revolt, destroyed Jerusalem and exiled its Jewish inhabitants. Hadrian rebuilt the city as a Roman city that he called Aelia Capitolina, of which remnants of the city plan exist to this day. The base of the Roman wall and the leftmost arch of three Roman arches can be seen below Damascus Gate. From Damascus Gate going south is El Zeit Street which runs along the route of the Roman Cardo and El Wad Street that follows the Tyropean valley, above the secondary Cardo. Remains of both Cardos as well as other remains from the time of Hadrian can be visited on your tour. Not far from Damascus Gate is another site that is called Zedekiah’s Cave or Solomon’s Quarry. This cave was discovered by chance by Dr James Turner Barclay, a physician and missionary who lived in Jerusalem for some years and was interested in biblical scholarship. On a sunny Sunday during the winter of 1854 Dr. Barclay was out walking along the city walls with his son and his faithful dog as he ususally did every Sunday when suddenly the dog vanished as if the earth had swallowed him up. While searching for the dog near the bedrock at the base of the city wall they noticed a deep hole from which they could hear the sound of barking. Excitedly they went home, gathered lanterns, ropes, measuring instruments and other equipment and under cover of darkness returned to the hole – the opening to a man-made cavern that had been created by quarrying stone. This is the largest quarry in the Holy Land, the cave begins at the city’s northern wall and extends under the Muslim Quarter for 230 meters, reaching the Sisters of Zion convent. Barclay is the one who discovered the gate to the Temple Mount that bears his name today (that you can see in the Western wall in the Women’s section of the Kotel plaza). Following the secondary Cardo to the south of the city will bring you to the Davidson Archaeological Park excavated by Benjamin Mazar and Meir Ben Dov from 1968 to 1978 and later in the mid 90s by Ronnie Reich. 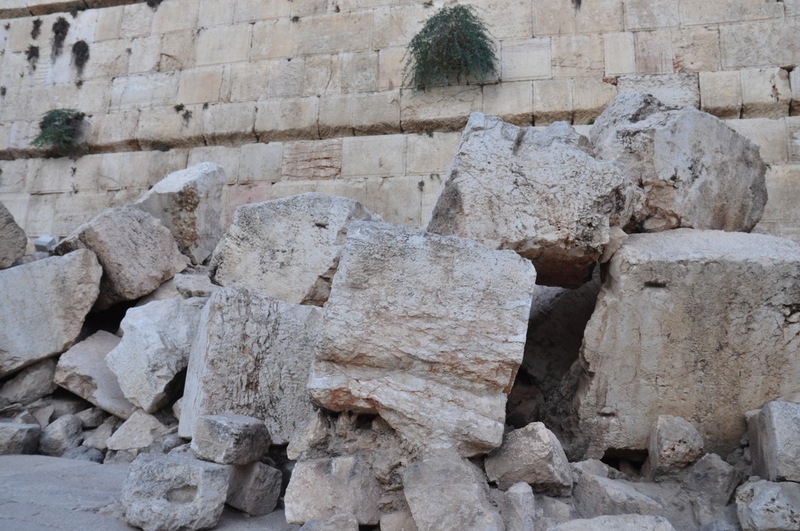 Perhaps the most impressive sight in Jerusalem is the main Second Temple street, littered with large Herodian stones that the Romans hurled off the top of the wall 15 meters above when they destroyed the Temple and Jerusalem in 70CE. Where the stones under Robinson’s Arch have been cleared away, you can see that the large paving stones are broken and have buckled under the tremendous impact of the arch’s collapse. In the visitor’s center is a movie of a Jewish pilgrim’s experience coming to the Temple in Jerusalem. The movie uses 3D modelling of the Temple complex based on the archaeological evidence. Under the street is the main drainage channel for ancient Jerusalem that has been recently opened and that goes as far as the Siloam Pool. Walking through the park you come to the southern steps that lead up to the double and triple gates. Below the steps is Eilat Mazar’s recent excavation of part of a citadel, a 4 chamber entrance gate whose dimensions are almost identical to the palace gate in Megiddo and a building of “royal character” dated to the 9th century BCE. 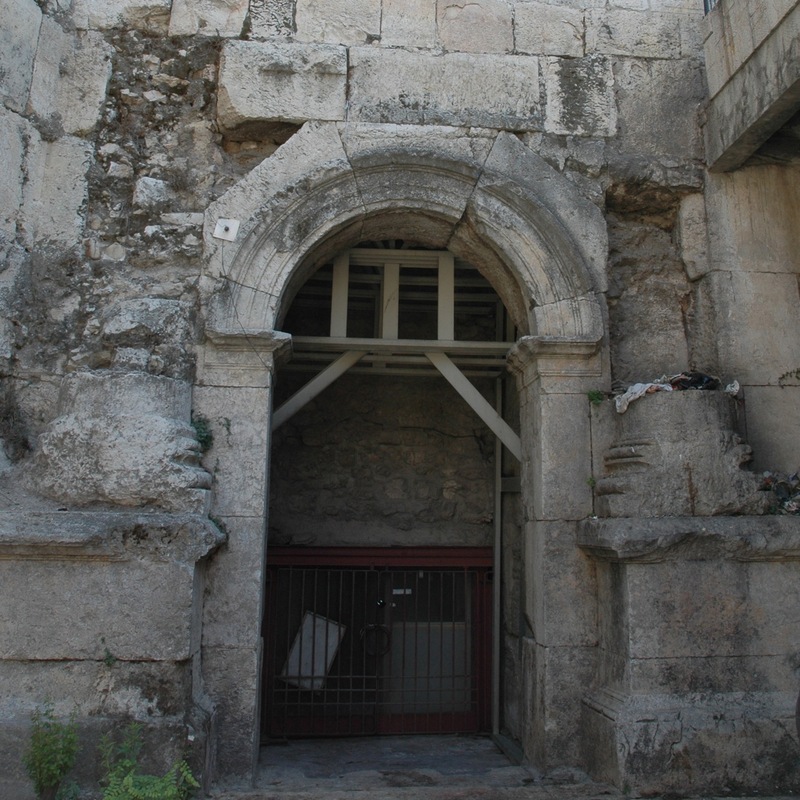 This entry was posted in Archaeology, Itinerary, Jerusalem and tagged archaeological park, Davidson Archaeological park, itinerary, Old City, postaweek2011, rampart walk, Roman, Roman plaza, walking tour, zedekiah cave on October 23, 2011 by Shmuel Browns.